Austin City Limits- by 7000 Acre Hill Country Preserve! Private Pool! Serenity and a bottle of Texas wine await your arrival at Casa Mora, a tastefully-decorated modern stone 3 bedroom 2 bath home located 20 minutes from Austin. Our home is a perfect base to enjoy both the cuisine, entertainment, culture and energy of Austin and the natural beauty and slower pace of the Texas Hill Country with its award winning vineyards, breweries, distilleries and olive orchards. The house features an open floor plan, gourmet kitchen, entertainment center and office area with a computer, free WiFi and a printer. The living space extends outdoors to include a patio and BBQ area, detached game room (with ping pong, Foosball,Smart TV and a double sized futon) and a fabulous private pool that backs up to the 7000 acre Shield Ranch Nature Preserve. We invite you to relax, listen to the chimes and watch the birds at our home away from home. We welcome you to Casa Mora. Rachel is a psychotherapist and author and I am a Realtor and have a financial consulting business. I'm a long time Austin resident and native Texan. Rachel is from Montreal and has been enjoying Austin for the last 33 years. We are music and nature lovers. We love the peaceful hill country setting only 20 minutes from our house in central Austin. The Texas Hill County is a beautiful, different world. We discover wineries, breweries, distilleries, outdoor markets, nature areas and hidden treasures every time we visit. Our home, only minutes away from downtown Austin, allows you to enjoy the energy of Austin's vibrant music scene and night life; and the quiet solitude of country living. Sitting on the back patio, sipping a glass of wine from a nearby Texas winery(our gift to you),listening to the music of the chimes and watching the multitude of birds is the best way to unwind from life's stressors. We cherish our time here as will you. Casa Mora is in the Texas Hill Country between Austin and Dripping Springs. Extend your stay at Playa Mora, our magnificent beachfront condo at the Gulf Shores unit 202 in Port Aransas! A branch of Barton Creek runs through our Long Branch Valley enclave. Sit on the comfortable balcony furniture at Playa Mora and enjoy the waves and beach without getting sandy. Outdoor propane fire pit and outdoor propane heater. All dishes, utensils and cookware are provided. Fully equipped chef's kitchen with all necessary cookware, equipment and utensils, Large spice selection, various oils, vinegar and teas. Separate game room with ping pong and Foosball tables. Board games. Peaceful wildflower garden . Sit on the front porch and watch the hummingbirds, butterflies and birds. Covered front porch and back patio with BBQ grill. Patio dining that seats six. We enjoyed this house. It was very clean and well stocked. Nice location with a lot of privacy. Highly recommend! Great location, great value and a lovely escape! Fantastic property owners! We had a great time here over Spring Break. Our family and friends truly enjoyed our time at this pretty home. We enjoyed the game room and all the outside seating areas. 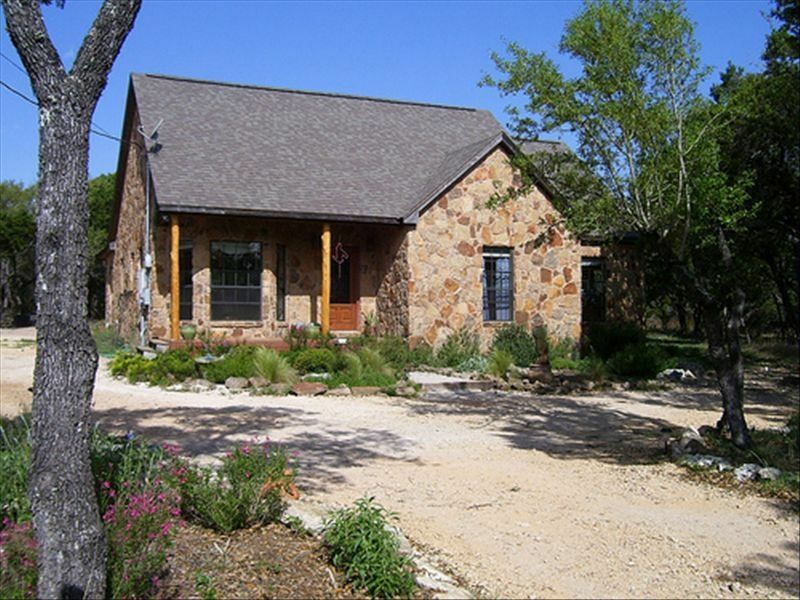 We love the location so close to Austin and many things to do; yet when you are at this property it is quiet and remote. You feel like you are truly relaxing. We would definitely stay here again and highly recommend this home! The property owners were fabulous and quick to respond to any of our questions. Outstanding venue. Peaceful, very comfortable home with enjoyable amenities. Our family had another great time staying at this wonderful spot. Hope to be able to do it again. Quiet property, plenty of space, no traffic, great place for walks. Owners are easy to contact and work with: will stay here again or at their other property. This was a great trip and we enjoyed the stay. Super place for a family visit. Well appointed, quiet location, great hosts. Enjoyed the pool, and recreation room for ping pong and foosball. Outside dining area. Deer out front. Ducks. Even camels on a ranch on road to property. What a spot! We're walking distance to the Jester King Brewery and a few miles from the Solaro Winery, the Texas Olive Oil Company, Mexican food at Trudy's, and custom pizza and smoked meat at Pieous. A few more miles west will take you to Thyme and Dough restaurant, the Barber Shop Bar, Dudley's Wine Bar and the Mercer Street Dancehall in Dripping Springs. A few more miles south are the Driftwood Vineyards Winery and Wimberley. Further west are Johnson City and Blanco and Marble Falls. The Salt Lick BBQ, Tratoria Lisina, the Deutchman Winery are also nearby. Check them out on your way to Austin! Weekly rate discount is 10% off the daily rate. Monthly rate discount is 15% off the weekly rate.